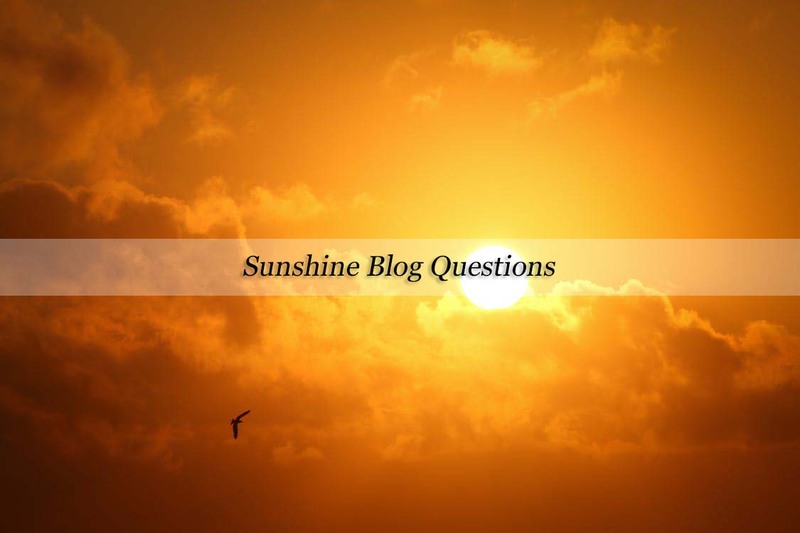 I was kindly tagged by the lovely Charlotte to take part in the 'Sunshine Blog Questions' where she has given me some individual questions she would like to know the answer too. I think it's a lovely idea and a great way to find out some more personal information about the blogger behind the blog. I am naturally a super nosy person, so reading these lately when they have popped onto my radar have been of great enjoyment. What's your biggest blogging achievement? For me it was my first paid post. It might seem quite shallow but turning a hobby into an income is a pretty big achievement and I'm not ashamed to say I enjoy the money I make through my blog. It's entitled me to have a longer maternity leave than we initially planned. So for my blog to have enabled me extra time with my children - for that I'll always be proud. What is one thing you are looking forward to this year? It has to be our holiday. It doesn't feel to far off, as we go in May but it's so eagerly anticipated. Patrick is yet to travel abroad and I just can't wait to my sons in the sunshine and enjoy some real family time again. It has to be Instagram lately, I really enjoy the stories feature and think it's such a great addition. What's one tip for new parents you wish someone had told you? Take it slow. Don't listen when people insist you need a routine, if you want to stay home in your pjs then do. When you look back do you want to see a stressed out Mum and Baby because they were trying to do 101 things to please others? Most things. Some days I'll be bumbling along to old school r'n'b, you know Sean Paul, Kevin Lyttle that kind of thing and then other times I want to blast Wham or Artic Monkeys. You can only eat one meal for the rest of your life what is it? Ooooo, this is hard. My nans chicken curry. I've perfected my own version as close as I can get, but it's just never quite the same is it? What is one thing you would love to achieve this year? Well I've already achieved my main goal, which was to earn enough from my blog to enable me to work part time. So in terms of another goal, it would probably be to attend a blogging conference. I'm a Disney pixar girl, though I do love the old stuff. But I'd have to say Finding Nemo / Finding Dory. Honestly I don't think it would be anywhere different, sure I'd love some sun and sea but I'd miss my 'home comforts' and things I've grown to love here. Am I boring if I say I don't have one? Does Alek Alfus from Made in Chelsea count, because if so then hubba hubba. I'm tagging Amy, Emily and Amy in this one, here are my questions I'd like you to answer. #1 What's the first memory you have from life? #2 Look at you in 5 years time, what do you want to be different? #3 Look at you in 5 years time, what do you want the same? #4 What's a song that takes you right back to a specific time? #5 You have to escape your house right now, living things aside, what 3 things are you grabbing? #6 Have you ever visited A&E and if so, tell us about it. #8 Coffee, tea or neither? #9 What is your dream holiday? #10 Who inspires you in blogging? It was the same with me when blogging started out to be a hobby then I started earning and it makes such a huge difference to the little extra things we can afford. I am also loving Instagram and completely stopped opening snapchat. Soon as Insta launched the Insta vids and the live streaming it was a game changer! I'm currently on mat leave & hoping blogging will help fund life during the zero pay period!! I loved receiving my first pay from the blog! especially as I hadn't been blogging for long. I love Finding Nemo and Dory! Great films!